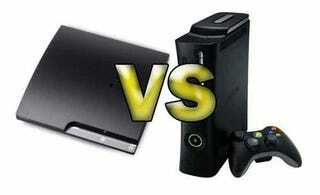 For the first time in the history of the Playstation 3, Xbox 360 console wars, gamers have a chance to pay the same cash for very similar hardware. For $299 a happy gamer can land themselves a PS3 Slim or an Xbox 360 Elite. Let's go to the numbers to see how they compare. Looking at just the hardware the PS3 Slim seems to win the match-up offering both built-in WiFi support and a Blu-ray player for the same price as the Xbox 360 Elite, which has neither but does include backwards compatibility. Of course, the bigger, most important deciding factor will likely boil down to game selection. And that's a whole other article.